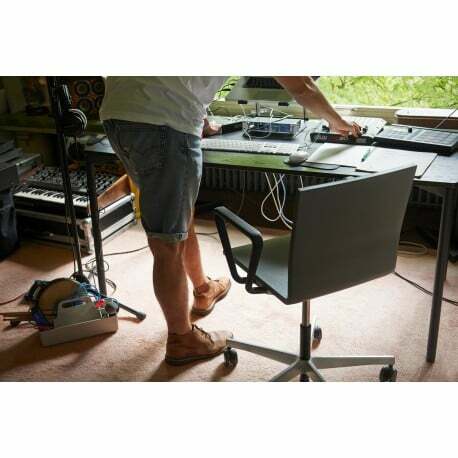 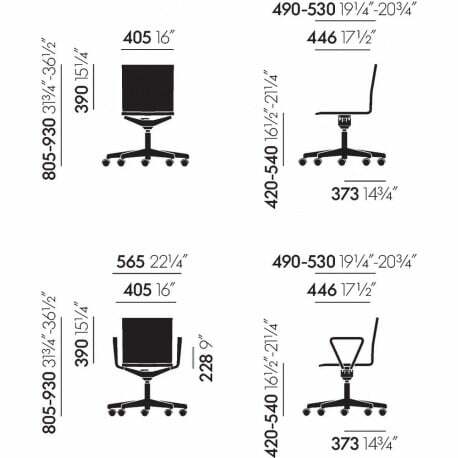 Maarten Van Severen's .04 is very different from conventional swivel chairs for the office. 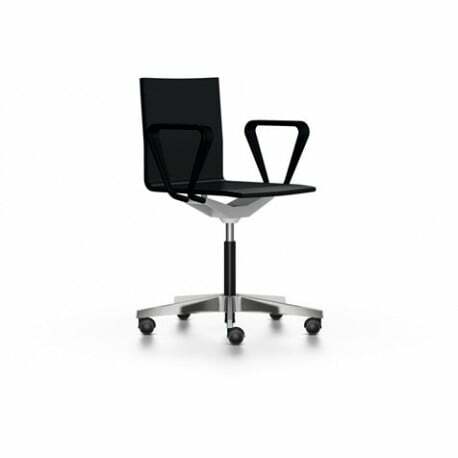 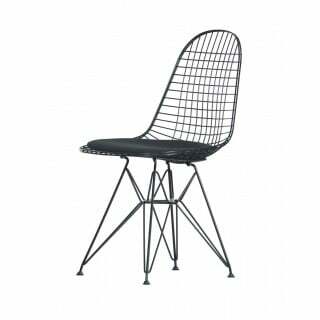 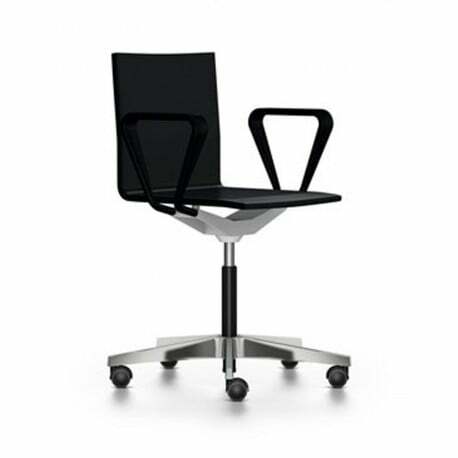 Its flexible shell is comfortable to sit on and pleasantly yielding to the back. 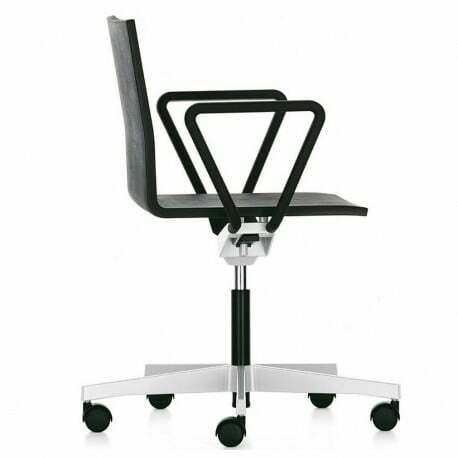 Its new rocking mechanism allows for a smooth transition from the sitting to the reclining position and for gentle sideways movements.